Top 10 Plyometric Exercises for Soccer Players. Joe Polifroni B.S. Kinesiology, ACSM. The best soccer players in the world all share very high levels of speed, power, and stability in their lower body chain. In order for a soccer player to become faster, more powerful, and more stable in their legs it is important that Plyometrics are a mandatory part of their athletic training. Plyometrics are movement exercises that are designed to allow a muscle to generate maximum force through contraction after a rapid, short lengthening movement. The simplest example of a plyometric exercise is a jump. Before a soccer player can jump off the ground, they have to lower their body into a pre-jump position. This body positioning creates slightly lengthened lower body muscles. As soon as the athlete is ready to jump, the muscles powerfully contract and the jump movement takes place. Another positive effect for plyometrics with soccer players is to help prevent injuries. So many athletes get injured from cutting, landing wrong after a jump, or positioning their body incorrectly while performing explosive movements during the game. 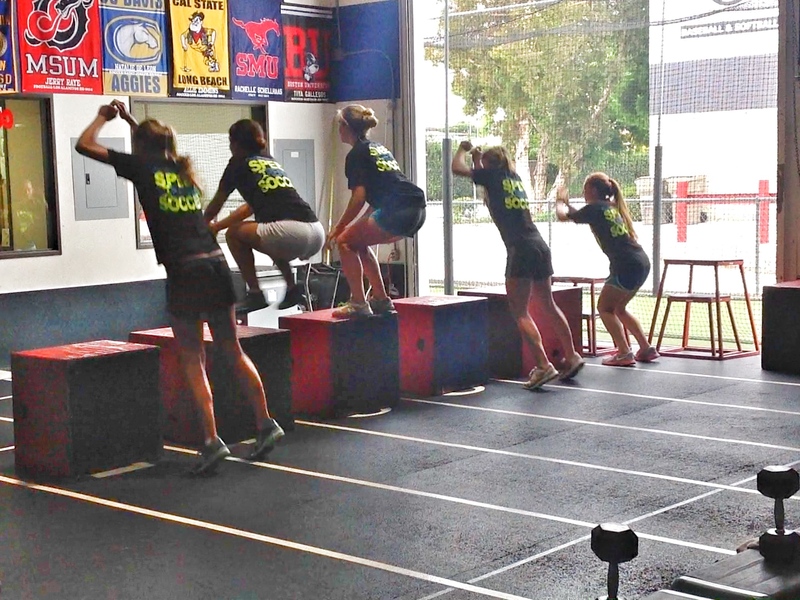 Plyometrics help to teach soccer players how to control their body, using primary and stabilizer muscles. Training with plyometrics will also correct jumping technique, landing technique, and explosive linear and lateral movements. Here are the top 10 Plyometric exercises that all soccer players should be doing every single week! It is very important that all of these exercises are performed with proper technique and form! They should be monitored by a certified strength and conditioning coach. To learn these plyometric drills and other effective exercises, contact our coaches here at Champions Quest and get help from the best! Download our Guest Pass and try a FREE athletic clinic now!